With this technique you’ll never drop a screw up again! Few things are as frustrating as trying to drive a screw into a tight corner or over your head, only to have it fall to the ground just as you’re getting it lined up. Fortunately, the solution to this problem is as simple as grade school science. Running a neodymium or other rare-earth magnet in one direction along any metal tool that contains some iron will magnetize it to attract other iron-based items. But this trick is especially useful for hand tools like screwdrivers, which will not just lift the screw but hold it in place while you work. 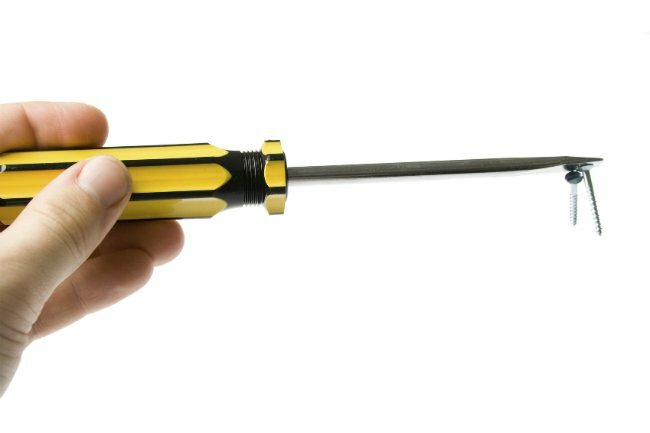 Take just 5 minutes to magnetize a screwdriver today for quicker, easier repairs down the line. Obtain a neodymium magnet with a pull force of ¼ pound to 1 pound. If you haven’t got one handy, there are a number of online retailers that specialize in inexpensive magnets. 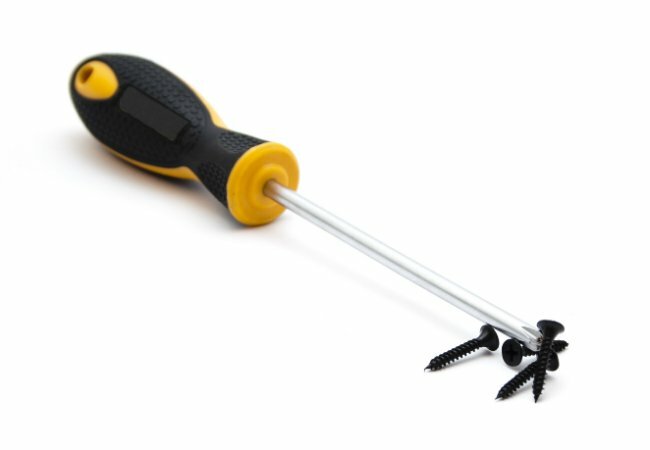 Wipe any dirt or debris from all metal parts of the screwdriver with a dry rag or cloth. If especially dirty, dampen the rag to thoroughly clean the tool, then allow the metal to dry before proceeding. Hold the screwdriver in one hand and the magnet in the other. Slide the magnet slowly along the tool’s metal shaft from handle to tip, continuing the motion just past the end that will come into contact with the screws. (On very large screwdrivers, you can start the motion halfway down the tool’s shaft.) Repeat several times, going in one direction only; swiping the magnet back the other direction over your screwdriver’s shaft can undo any magnetism you’ve achieved thus far. Then give the tool a quarter turn and repeat. Continue the quarter turn and stroke process four times. The more strokes (and the more iron content in the tool), the more powerful the magnetism will be. Test the strength of the newly magnetized screwdriver to see if it’s sufficient for your needs. Touch the driver to a screw and see how well it lifts and holds the fastener. If you want a stronger pull, repeat Step 3. The screwdriver should stay magnetized for at least three months; accidentally dropping it will weaken it sooner by throwing the magnetic elements out of whack. To intentionally demagnetize the tool (useful if you need to drive a screw into something made of metal), reverse the direction in which you drag the magnet along the screwdriver shaft—in this case, from tip to handle.